The Burning Crows - Back for One Week Only! 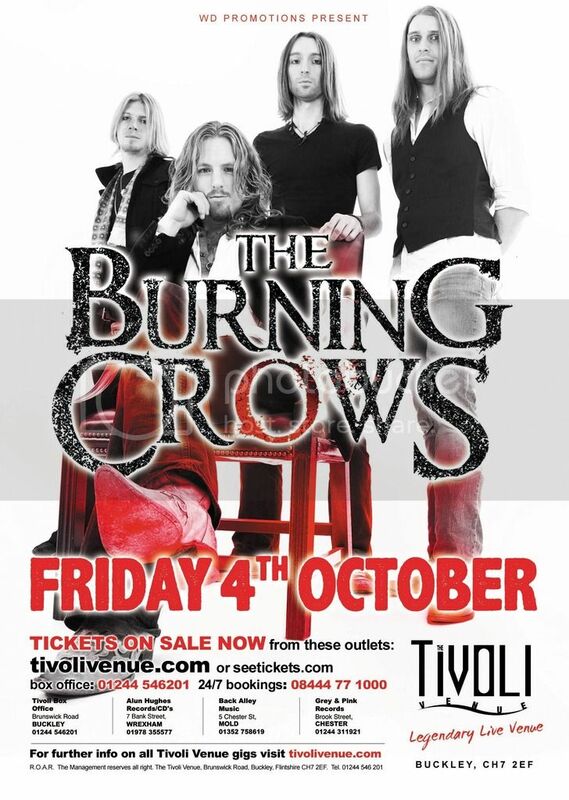 Thrilled to announce that the 'One Night Only Tour' continues on October 4th at the legendary Tivoli in Buckley... Grab your tickets. Tell a friend. Be there.